About assets of community value and how to nominate one. Every town and village has buildings that are important to the local community and if they were to be sold or closed for private use, it could be a real loss to the local area. Under the Localism Act 2011, the community can nominate buildings that it would like to see included on a list of assets of community value, which for Farnham is held by Waverley Borough Council. If the nomination is accepted by Waverley, it means that if the listed asset should come up for sale or a change of ownership, community groups are given six months to put together a bid and to raise money to buy the asset when it comes onto the open market. After that the owner is free to sell to whoever they choose. the use of the building for well-being, cultural or recreational and sporting interests will continue to further the social well-being or interests of the local community. the use of the building must not be deemed ancillary, or of secondary purpose. Why nominate a local asset? These provisions give communities the right to identify and potentially help save a building or land that they believe to be of importance to their community’s social well-being or social interest. This could be land, a local village hall, post office, shop or pub. Nominations can be made by local organisations with a local connection including town and parish councils and community interest groups. Individuals are not able to make nominations but they may approach Farnham Town Council with their suggestions. To decide whether the Town Council will nominate the suggestion on behalf of the individual, it will be assessed against agreed criteria for nominating assets of community value. Once a nomination has been submitted to Waverley Borough Council, they have eight weeks to make a judgement on whether the building or land should be listed on the register of assets of community value. Waverley assesses each nomination to see if it meets the listing criteria. Information about Waverley’s process for responding to nominations for assets of community value can be found on their website. 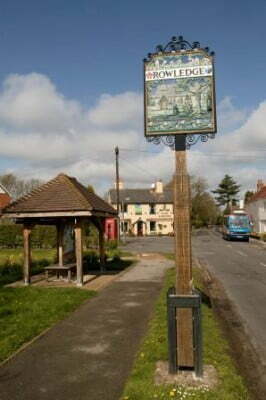 Rowledge Village Hall is the only asset of community value to be listed in the Farnham area. Other suggestions have been made and these are in the process of being prepared for nomination by Farnham Town Council. The register of assets of community value which, also includes unsuccessful nominations can be seen on Waverley’s website.